One of two bison that wandered out of Banff National Park earlier this month has been destroyed. The bulls had meandered out of the park in separate directions on Aug. 5, just one week after the herd was released into a 1,200-square-kilometre reintroduction zone in the park's backcountry. Parks Canada said in a release that on Thursday, staff "made the difficult decision to euthanize one of the bison bulls who had continued to move eastward toward private grazing lands and was posing a risk to public safety and to the safety of livestock." "Parks Canada staff made tremendous efforts to encourage the bison bull to return to the national park and closer to the reintroduction zone. The decision to euthanize the bull was taken only after every other possible solution was tried or examined by highly trained, professional, and dedicated Parks Canada staff who are committed to conservation and the protection of species like bison," the organization said. The wild bison are the first to roam the park's backcountry in 140 years. The $6.4-million project initially saw 16 bison released into a paddock in the remote Panther River Valley in February 2017 before being moved into a larger reintroduction zone this July. The valley is about 40 kilometres north of the Banff townsite. Ten of the females had calves last year and seven of those animals have given birth again this year. 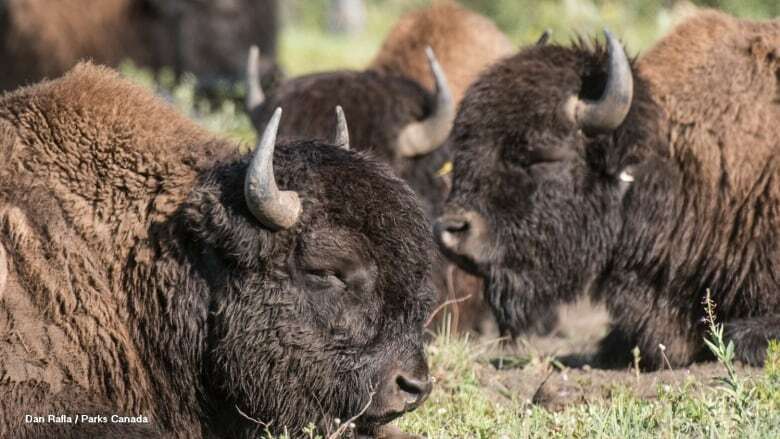 There are 31 bison remaining in the herd inside the park, and Parks Canada said they continue to monitor the second bull that wandered outside the park's limits and has been grazing in the Red Deer Valley near Ya Ha Tinda Ranch. "Efforts to reintroduce him to the national park are ongoing," Parks said. Plains bison on provincial land aren't considered wildlife in Alberta, but are instead classified as livestock and are not protected.